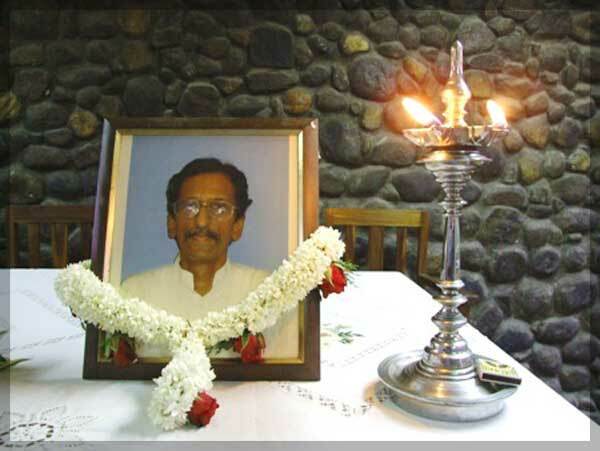 Ketheeswaran Loganathan called generally as “Ketheesh” was assassinated six years ago on August 12th exactly one year after Lakshman Kadirgamar was killed. With his departure one more Tamil who wanted his people to live with equal rights in a united Lanka and championed that cause in the face of danger was done away with. One more person capable of rising above prevailing hatred and insanity in Sri Lanka was no more. At the time of his death Ketheesh was Deputy Secretary–General of the Secretariat for Coordinating the Peace Process (SCOPP) and Secretary of the All Party Representative Committee (APRC). This made him appear as a pro–government “establishment” man. The eulogies heaped on him by some reinforced that impression. This perhaps was the unkindest cut of all. The life and times of Ketheeswaran Loganathan would demonstrate that he was at no time a toady of anyone least of all a Govt in power. He was a fiercely independent man of thought and action. Ketheesh was a Tamil Nationalist. Not of the variety that descended into violence and barbarity but of the kind which believed in a negotiated settlement ensuring Tamil rights through maximum devolution in a united Sri Lanka. It would be a great injustice to Ketheesh’s memory if one were to view his life only through the prism of the posts he held at the time of his death. His was a life that dedicated itself to service and sacrifice for the betterment of humanity. Ketheeswaran or Ketheesh was of Jaffna origin (Thunnalai South) but born and bred in Colombo. He studied at St. Thomas’ College Mt. Lavinia and Loyola College, Madras before proceeding to the USA for higher studies. He was the scion of an elitist Tamil family. His father was the legendary banker and economist Chelliah Loganathan. There was a time when Loganathan, General Manager of Bank of Ceylon was regarded as a powerful financier wielding much influence in Sri Lanka. The bank’s lending policies caused much controversy. Ketheesh born in 1952 was two years older than me. He was the youngest in the family. C. Loganathan was a devotee of the Thirukketheeswaram temple dedicated to Lord Shiva in the Mannar district. That is why he named his youngest son Ketheeswaran. Chelliah and Thilakavathy Loganathan had six children. Ketheesh had three elder sisters and two elder brothers .Ketheesh was married to Bhavani Kumarasamy. Ketheesh had pronounced left leanings. One of his father’s brothers Tharmakulasingham was a well– known Samasajist leaders of an earlier vintage. Tharmakulasingham who contested the Point Pedro Constituency in 1947 on the LSSP ticket was a very popular leftist who died at a very early age amid tragic circumstances. Many people feel that had Tharmakulasingham lived he would certainly have become a prominent leader of the left movement. In a way Ketheesh inherited this leftist legacy. Ketheesh Loganathan, received a Bachelor's Degree in Business Administration from Georgetown University in Washington, USA and a Master's in Development Studies from the Institute of Social Studies at Hague, Netherlands. He also worked on a Master’s Degree at the Institute of Development Studies in Sussex, UK. But some of these people did not do so. Instead they chose to engage in political struggle and worked for the emancipation of the Tamil people in a united Sri Lanka. They were able to see both sides of the question and bring a sense of balance and moderation to the prevailing discourse that was often rabid. The ability to see both sides and understand the other man's point of view is often a great blessing. But in contemporary Sri Lanka it was a curse. It often made you an outsider in both camps. Ketheesh belonged to this rare breed of persons. After returning from abroad he worked as a researcher at the Marga Institute (77 – 79) and Social Scientists' Association (79 – 81). He worked on issues of development and under -development. It was then that his father, now retired ,launched an enterprise aiming to generate funds and economically develop the badly neglected and deprived North–East. Possessing a streak of idealistic adventurism and a wistful nostalgia for an “imagined” Jaffna, Ketheesh went to Jaffna and took charge of his father’s project. At the same time he co–founded another institution for North–Eastern development called DEREC ( Centre for Development Research, Education and Communication) in Jaffna in 1981. It was during this stay in Jaffna that Ketheesh’s life was taken over by revolutionary politics. October 1981 was the time of the First Congress of the newly formed Eelam People’s Revolutionary Liberation Front (EPRLF). A close and trusted friend Manoranjan Rajasingham (now no more) joined the EPRLF and convinced Ketheesh that he too must do so. So Ketheesh joined what was then a revolutionary political organization. The 1983 July anti–Tamil pogrom changed life drastically for Tamils. Different people responded differently. Ketheesh went to Chennai and became a full time activist of the EPRLF. Having independent means he did not lead a commune or camp life like many of his other comrades. He stayed in a flat within walking distance of the EPRLF’s Eelam People's Information Centre (EPIC) at Choolaimedu and attended office dutifully. It was during this period that Ketheesh forged a firm friendship with the lovable Pathmanabha alias Ranjan who was EPRLF Secretary–General at the time.Ketheesh and Varatharajapperumal were the EPRLF representatives at the famous Thimphu talks in 1985. He also represented the EPRLF in many negotiations with and without publicity. Then came the Indo-Lanka accord of 1987. Ketheesh returned home but took no part in the pro–Indian EPRLF North–Eastern Administration. He went to Hague and continued his higher studies. Ketheesh also got affiliated to the “Conflict Resolution Programme” of the Peace Research Institute in Oslo, Norway and was awarded a two-year research fellowship at the Agriculture University of Norway to complete a study on the “Plantation system in Sri Lanka and the search for sustainable development”. After Padmanabha was killed by the LTTE in 1990 June, Ketheesh’s role in the EPRLF began diminishing. Though he remained in the movement it was a case of being “in but not of”. His relationship with the new leader Suresh Premachandran also deteriorated. Ketheesh continued to represent the EPRLF in public fora including the Mangala Moonesinghe select committee. Finally in 1994 Ketheesh formally quit the EPRLF but remained on friendly terms with many activists. Re-entering Academia, Ketheesh served as a research consultant at the Centre for Policy Research and Analysis (CEPRA). He authored the book “Sri Lanka: Lost Opportunities” in 1996. Ketheesh also took to journalism. 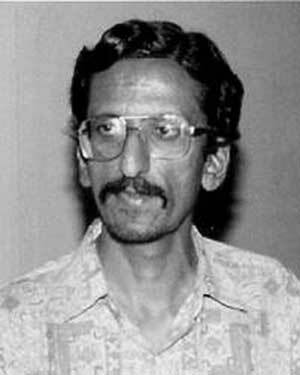 He functioned as Consultant to the short–lived “Week- end Express” where he wrote a popular column “Truthfully speaking” under the pseudonym Sathya. He later wrote articles as “Sathya” for the “Daily Mirror” too. In 1998 he was awarded the Hubert Humphrey Fellowship and was enrolled for a year at the College of Journalism in Maryland University. Thereafter Ketheesh joined the Centre for Policy Alternatives(CPA) and was in charge of the peace and conflict analysis unit. He played an important role in forging the “roadmap to peace” blueprint with the objective of taking the Oslo–facilitated peace process forward. 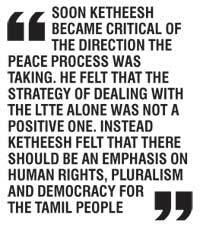 Soon Ketheesh became critical of the direction the peace process was taking. He felt that the strategy of dealing with the LTTE alone was not a positive one. Instead Ketheesh felt that there should be an emphasis on human rights, pluralism and democracy for the Tamil people. Child conscription and exterminating of those with alternate political views by the Tigers was particularly upsetting. Ketheesh became openly critical of the process and the conduct of the LTTE. This was not a popular position to take and soon Ketheesh became increasingly isolated. This also placed him under the LTTE threat. Increasingly pressured, Ketheesh once consulted Lakshman Kadirgamar and obtained some security measures for his protection. Ketheesh quit the CPA early in 2006 with the objective of taking up duties as research director at the Bandaranaike Centre for International Studies (BCIS). But he changed his plans when President Mahinda Rajapaksa offered him the Deputy Secretary–General position at SCOPP. He took up duties on March 29th 2006. In July 2006 he became Secretary of the APRC. This was a difficult decision for Ketheesh and he did consult some friends before taking it. Many including myself thought it was a grave misjudgment on his part. The Peace Secretariat at that time was becoming a propaganda tool. Yet Ketheesh took the plunge with two objectives. One he was naively optimistic of gradually influencing the regime positively. Two he felt someone like him should be embedded in the power structure that was virtually without any Tamil of significance in order to contain the anti–Tamil impulses. Meanwhile Ketheesh himself became uncomfortable and frustrated in his new assignment. For one thing an undeclared war was being waged with the SCOPP cheering from the sidelines. The All Party Conference was perceived as a time–buying charade without any meaningful direction. Those who know Ketheesh well were of the opinion that it would only have been a matter of time before he quit the SCOPP and APRC. Being a man of principle and conscience Ketheesh could not have compromised for long. Also he was not the kind of person to subordinate his personality to the whims and fancies of the powers that be. Sadly “Yaman" the God of death visited Ketheesh first. It was on August 12th the first anniversary of Lakshman Kadirgamar’s death. A Police team in plain clothes regularly checked up on Ketheesh due to security reasons. This was a security measure arranged for by SCOPP I believe. On that fateful day some “new” faces appeared at his residence, 1B Windsor Avenue, off Vanderwert place, Dehiwela. Given the murky conditions prevailing in Sri Lanka at that time his killing was not regarded as an open and shut case by some though it was widely believed that the LTTE was responsible. Both Mahinda Rajapaksa and Palitha Kohona were quick to accuse the LTTE .None could have ruled the Tigers out. The LTTE website “Nitharsanam” described Ketheeswaran as “junior Kadirgamar”. Another website referred to him as an “ex–EPRLF” member forgetting that the EPRLF Suresh faction was then within Tiger folds. The University Teachers for Human Rights (UTHR –Jaffna) then noted in a statement –“The LTTE-intelligence related web site Nitharsanam devoted 7 lines to the killing of Kethees. It began, “Infamous traitor of the Tamil race Ketheeswaran Loganathan was shot dead a short while ago. Known as Tamil Betrayer Kadirgamar Junior, he was deputy head of the government Peace Secretariat…” This derisive snigger is the stamp of the killers, their very nature and their values that are the antithesis of decency and true heroism. The implicit boast in the killing and its timing is that this organisation can and would pick off its unarmed opponents at will, should they persist in giving hope to the people”. Though Ketheesh had for long remained an LTTE critic and often stated his views openly the Tigers had not targeted him earlier. If the LTTE was now responsible why did the Tigers do so? Was the question on the Tamil grapevine? Though the killers spoke fluent Sinhala they could have been an underworld gang given a killing contract by the LTTE. If the LTTE was indeed responsible the plausible reasons seemed to be that of Ketheesh joining the SCOPP and also possibly his role in the APRC. The LTTE however “officially” ignored Ketheesh’s killing. There was no statement denying or claiming responsibility. The Government announced it investigating the murder but despite six long years there has been no effective breakthrough. As time went on Ketheesh Loganathan became one more statistic to be cited as proof of LTTE wickedness. In spite of his leftist leanings, I do hope the soul of Ketheesh has broken the cycle of rebirth and attained heavenly bliss at the feet of Lord Shiva. I would like to conclude by excerpting some paragraphs from two statements issued at the time of Ketheeswaran’s death. Both pay eloquent tribute to Ketheesh and sum up his life aptly and succintly. The first is from the UTHR(Jaffna) statement. “Ketheeswaran was consistent in his dedication to the welfare of the Tamils in Sri Lanka. In the early 1980s which saw growing communal violence directed at Tamils it was natural for a decent left oriented Tamil with an intellectual bent to join the EPRLF, which he did. The struggle he joined was destroyed by the LTTE in 1986. After very difficult times for his people, Ketheeswaran found openings for his interests in justice and a political settlement among Colombo-based NGOs. He strongly objected to the degradation of human rights in the 2002 ceasefire agreement and on occasions was almost alone in voicing his concern over the conscription of children in the Colombo NGO fora, which Norway, the NGOs and the Government wanted to downplay. Erik Solheim was quick to mark him out as an adversary”. “Ketheeswaran never forgot that he had been a militant. He stayed on in the EPRLF and left it only in 1994 after differences with an individual who too later left. His background enabled him to easily make the transition to activism in civil society. He was constant in his concern that other militants too should be given the means and opportunity to come out into civil and political life. He pushed for the Norwegian initiated peace process to address this cause for all militants including those from the LTTE. But after the Karuna split the Norwegians pinned the label ‘paramilitary’ on all non-LTTE groups and this effort came to a standstill”. “Ketheeswaran wanted the Norwegian initiated process to go on, but became very upset and utterly disillusioned when the LTTE started a campaign of political killings, culminating in the assassination of T. Subathiran of the EPRLF in June 2003, a man he had known as a fine and committed human being. Kethees’ writings and analyses became critical for dissenters who challenged the Norwegian approach to the peace process. This approach, while lax on human rights and democracy, looked for quick fixes as some crude arrangement convenient to the Government and the LTTE. Kethees was neither a romantic nor a mere analyst. Where possible he collaborated closely but quietly in challenging the forces opposed to human rights and democracy, whether it be the LTTE, the Government or the Norwegian facilitators. Unfortunately for him and his security, he became isolated even within the INGO and NGO community in Colombo that had been his home turf. His insistence on ensuring human rights in the peace process and his opposition to appeasement of the LTTE to the detriment of the people, resulted in his being further isolated, and to his peril, singled out and labelled a critic of the LTTE or simply ‘anti-LTTE’. 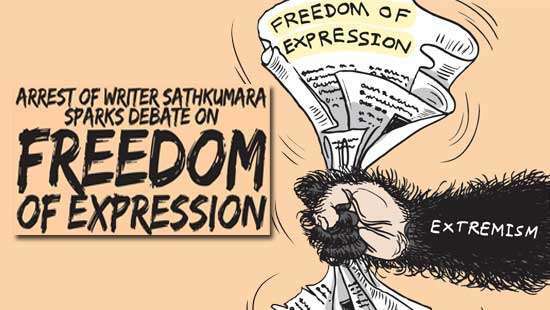 “Kethees would not be silenced, he voiced his own concerns about human rights and the primacy of a political settlement in a series of articles under the pen name Sathya in the Daily Mirror. The earlier Peace Secretariat headed by Jayantha Dhanapala had kept itself above the local political fray. When the Rajapaksa presidency committed itself to a political settlement and offered Ketheeswaran the position of deputy head of the new Peace Secretariat, Kethees sought the opinion of his dissident friends. All were concerned for his security, but if the President was committed to a political settlement, many felt that it would be good for a Tamil to be in that position to push both a political settlement and human rights concerns. They were thinking of the Peace Secretariat as a body that could advise the President while keeping above the political fray. After his death and given the current reality where his fears are coming true, some of his NGO colleagues have expressed agreement with him. Had they done so four years ago, his cause would have developed the critical mass that would have minimized the danger to his life”. The second set of excerpts is from the statement issued by Dr. Saravanamuttu on behalf of the CPA.